Stock markets around the world are dipping on Wednesday amid rising tensions between the US and North Korea. Reports early on Tuesday indicated that North Korea was able to build nuclear bombs small enough to fit on a missile. President Donald Trump then said any aggression from Kim Jong Un, North Korea’s leader, would be met with “fire and fury and frankly power, the likes of which this world has never seen before.” Hours later, North Korea said it was considering a missile strike on Guam, a Pacific island that holds a US military base. The Dow Jones industrial average broke a 10-day streak of record highs on Tuesday, closing down by 0.2%, or 33 points. It was down 0.3%, or 62 points, at 10:07 a.m. ET. The S&P 500 was down 0.4%. 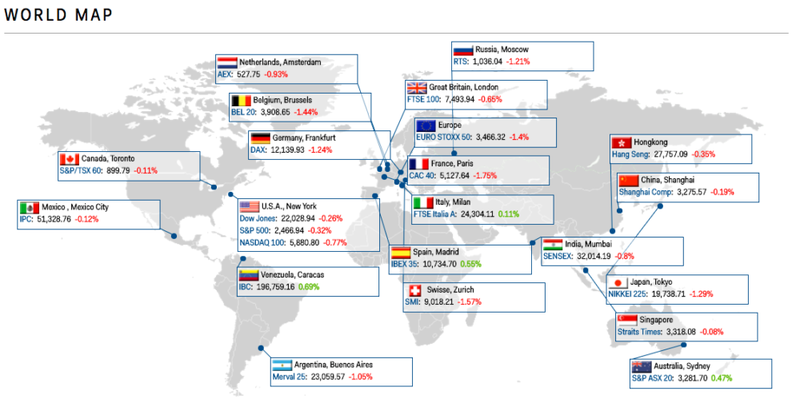 Outside the US, the Euro Stoxx 50 was down 1.6% and the FTSE 100 was nearly 1% lower in London. Major indexes in China, Japan, and India were also lower. Assets that investors prefer during periods of geopolitical tension were stronger. Gold gained 1%, or $12.72 an ounce, to $1,275.32. Treasurys rallied, pushing the 10-year yield down by 4 basis points to 2.237%. The US and North Korea have not made good on their threats, and it’s still uncertain whether they would re-inject volatility into a sleepy US stock market. The drop in US futures Wednesday is not outsized relative to the recent trend; Tuesday was the 14th day in a row the S&P 500 closed within 0.3% of its opening level. “It’s obviously difficult to predict” what could trigger a stock-market correction, said Dianne Lob, a senior managing director for equities at AllianceBernstein. “We’ve absorbed a lot of the macroeconomic wall of worry” amid steady earnings and economic growth.